* A huge thanks to Lurgee from My Little Sweatshop for lending me the use of her Canon to capture these shots. 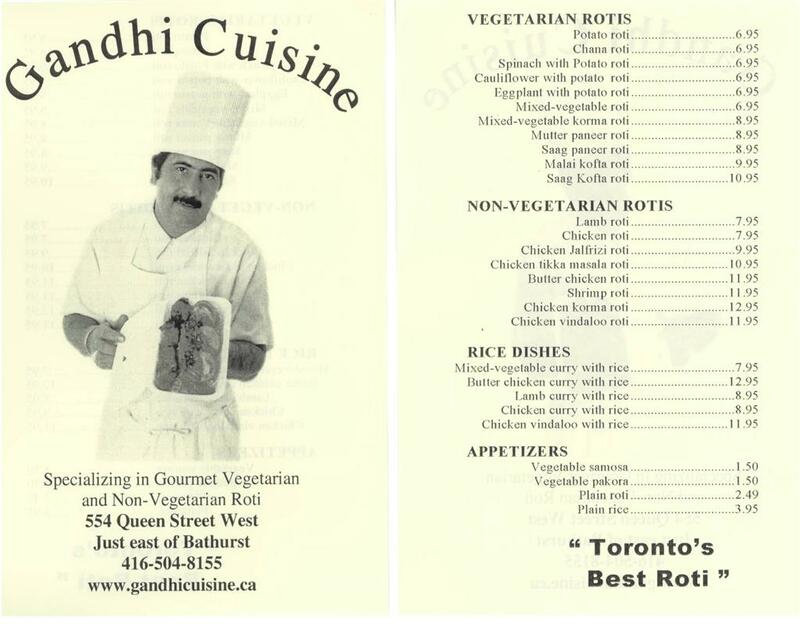 There's no reason to really review a place as well known and loved in the city as Gandhi's. 'Cause if you're willing to wait 1.5 hours for your roti, then you must like it. All I can say is that when we finally brought our 14 (!) pre-ordered rotis back to work, there was absolute SILENCIO in the kitchen while we ate. 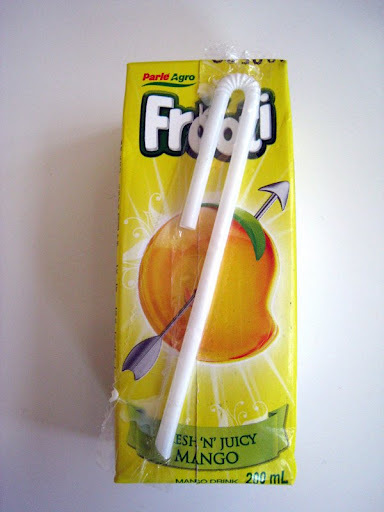 Oh yeah, and we got a free juice-box for ordering 14 rotis! For $150 worth of roti business (not counting all the other business we've given them) they could have at least thrown in another juice-box, come on! Chicken roti $8.95 + tax = $10.50, a great alternative to the creaminess of the butter chicken. I like the medium hotness. Butter chicken roti - very creamy and rich. Needless to say, it was ZZzzzzzzzzzzzzzzzzzzzzzzzzzzzzzz around the office after that! Apr 26 Frankly Eatery NOW OPEN! Sep 3 GANDHI’S ROTI: oh, the calories!